After an unspecified "werewolf incident" we have become the new maintainer of the hogwarts.edu web app. Our first day on the job begins with Professor Dumbledore approaching us, explaining that his official hogwarts.edu account has recently begun sending mysterious messages such as "Potter sux, Malfoy rulez" to all the students. As Dumbledore has an administrator account, this security hole could lead to much worse problems than pranks. He's asked us to fix the vulnerability before someone exploits it to cause more serious damage. Listen for a HTTP request to "hogwarts.edu/dumbledore/send-message?to=all_students&msg=blahblah"
Send "blahblah" (or whatever the msg parameter was set to) from @dumbledore to all students. There's no attempt to check whether the request actually came from the owner of the @dumbledore account, meaning any attacker can send a HTTP request to hogwarts.edu/dumbledore/send-message and it will be treated as legitimate. Possibly our werewolf predecessor thought this would be fine. To prevent this from happening in the future, we introduce an authentication system. First we add a Secret Authentication Key to each user's account, which we randomly generate when the user logs in and delete when they log out. 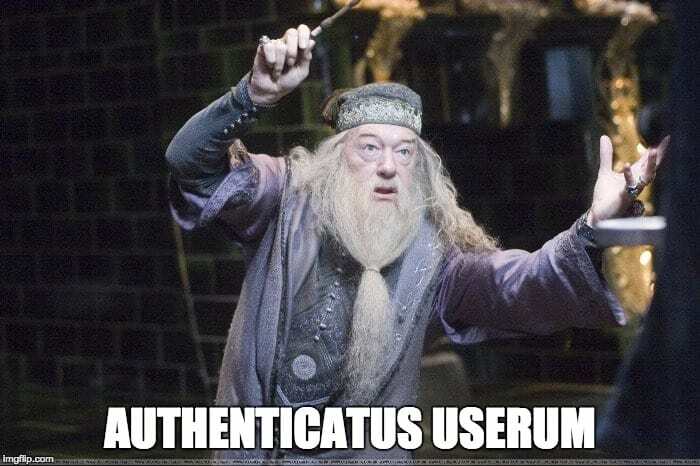 Check for a header called "secret-authentication-key" and make sure it matches the Secret Authentication Key we stored in the database for the @dumbledore account. If it doesn't match, reject the request. Send "blahblah" (or whatever came after the msg parameter) from @dumbledore to all the students. Now when we try to send phony messages as Dumbledore, the server rejects them for lacking the proper authentication key. When Dumbledore himself logs in and tries to send them himself, it works. Huzzah! The day after we roll out this new authentication scheme, Professor Snape apparates with a complaint. When he visits hogwarts.edu/snape/messages to view his private messages, there's now a brief loading spinner before his messages show up. Snape demands that we put it back to the old way, where the messages loaded immediately. Why did we add the loading spinner? Well, we realized hogwarts.edu/snape/messages was also unsecured, so naturally we secured it with our new "secret-authentication-key" header. While that second request is processing, all Snape sees is that rage-inducing spinner. Now whenever Snape's browser makes a HTTP request to hogwarts.edu, it will automatically send the contents of that cookie in a Cookie header. This is true even for the original HTTP GET request it makes when Snape visits hogwarts.edu/snape/messages - meaning that now our server can authenticate him right there on that first request, and serve the messages in the first response without needing a second HTTP roundtrip. Listen for a HTTP request to "hogwarts.edu/snape/send-message?to=all_students&msg=blahblah"
Check for a header called "Cookie" and make sure it matches the Secret Authentication Key we stored in the database for the @snape account. If it doesn't match, reject the request. Send "blahblah" (or whatever came after the msg parameter) from @snape to all the students. Wasn't there some reason we hadn't used cookies in the first place? Oh, right. Security concerns. Sure enough, the day after we roll out our cookie-based solution, Professor McGonagall turns up with a strange story. Just after she visited Draco Malfoy's blog, her official hogwarts.edu account sent another of those "Potter sux, Malfoy rulez" messages to all students. How could this have happened? As soon as Professor McGonagall visited his blog, her browser did what it always does when it encounters an <img>: send a HTTP GET request to the URL specified in its src. Because the browser is sending this request to hogwarts.edu, it automatically includes Professor McGonagall's stored authentication cookie in the Cookie header. Our server checks to see if the cookie matches - which of course it does - and dutifully posts the malicious message. Avoiding this form of CSRF attack is one reason it's important that all our GET requests do not result in our server taking any important actions. They should be pretty much read-only, give or take perhaps some logging. 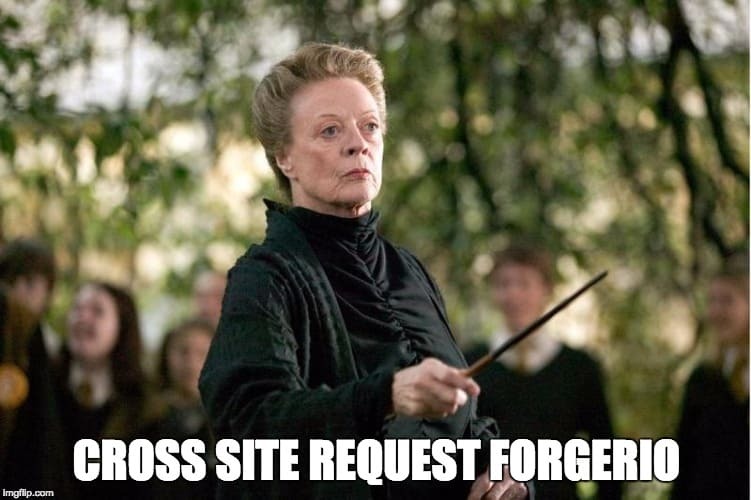 Listen for a HTTP request to "hogwarts.edu/mcgonagall/send-message?to=all_students&msg=blahblah"
If it is not a POST request, reject it. Check for a header called "Cookie" and make sure it matches the Secret Authentication Key we stored in the database for the @mcgonagall account. If it doesn't match, reject the request. Send "blahblah" (or whatever came after the msg parameter) from @mcgonagall to all the students. Great! Now the <img> CSRF attack no longer works, because <img> only ever results in GET requests to load the src. Professor McGonagall should be able to visit Draco's blog again with no problem. In an effort to make things a bit more difficult, we change the msg and to fields from URL query parameters to requiring that this information be sent via JSON in the body of the request. This fixes the problem for another day or two, but Draco quickly gets wise and puts the JSON in a <input type="hidden"> inside the form. We're back to square one. We consider changing the endpoint from POST to PUT, since <form> only supports GET and POST, but semantically this clearly makes more sense as a POST. We try upgrading to HTTPS (doesn't fix it) and using something called "secure cookies" (still doesn't fix it), and eventually stumble upon OWASP's list of other approaches that do not solve this problem before finally finding something that does work. OWASP has some clear recommendations on how to defend against CSRF attacks. The most reliable form of defense is verifying that the request was sent by code running on a hogwarts.edu page. When browsers send HTTP requests, those requests include at least one (and possibly both, depending on whether it was an HTTPS request and how old the browser is) of these two headers: Referer and Origin. 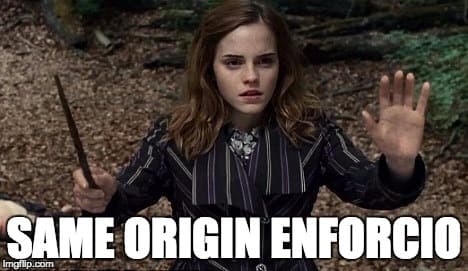 If the HTTP Request was created when the user was on a hogwarts.edu page, then Referer and Origin will begin with https://hogwarts.edu. If it was created when the user was viewing a non-hogwarts.edu page such as Draco's blog, then the browser will dutifully set the Referer and Origin headers to the domain of his blog rather than hogwarts.edu. If we require that Referer and Origin be set to hogwarts.edu, we can reject all HTTP requests that originated from Draco's blog (or any other third-party site) as malicious. 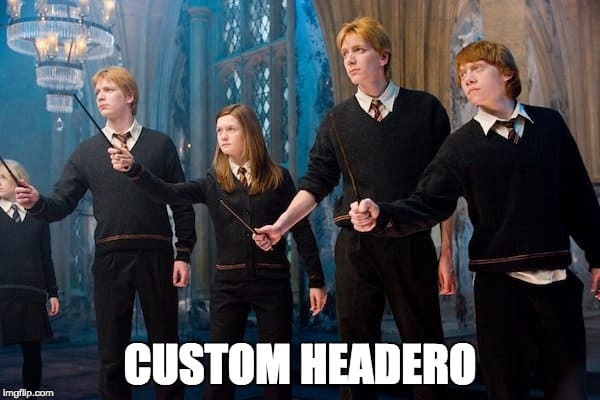 Listen for a HTTP request to "hogwarts.edu/mcgonagall/send-message"
If the Origin and/or Referer headers are present, verify that they match hogwarts.edu. If neither is present, per OWASP's recommendation, assume the request is malicious and reject it. 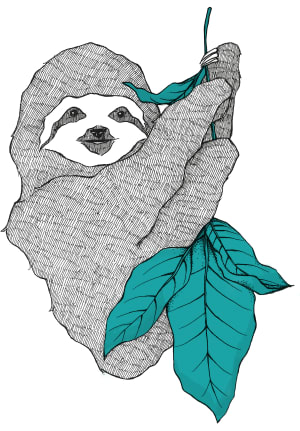 Send a message from @mcgonagall based on the JSON in the request body. Great! Now if a request comes from outside the browser, it won't have the necessary Cookie header, and if it comes from inside the browser by way of Draco Malfoy's malicious blog, it won't pass the Referer / Origin Same Origin header check. Importantly, we should not perform this Same Origin check on all requests. If we did it on all GET requests, for example, then no one could link to hogwarts.edu pages from different websites, as they would be rejected for having a different Referer! We only want to do this Same Origin check for endpoints that no one should ever be able to access from outside a hogwarts.edu page. This is why it's so important that GET requests be essentially "read-only" - anytime we have to skip this Same Origin check, Draco can use the <img> trick from earlier to cause the endpoint's logic to run. If all that logic does is return information, then the result will be nothing more than a broken-looking <img> on Draco's blog. On the other hand, if the result is that messages get sent from the current user's account, that means an attacker can potentially use CSRF to send messages from the current user's account! 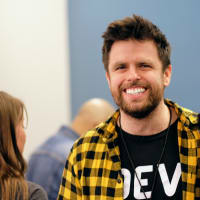 Although OWASP does not list any known ways an attacker could circumvent this Same Origin Check defense (other than a successful Cross-Site Scripting attack, which must be defended against separately, as such an attack can circumvent any number of CSRF countermeasures), they still recommend "a second check as an additional precaution to really make sure." One good reason to have a second check is that browsers can have bugs. Occasionally these bugs result in new vulnerabilities which attackers exploit, and it's always possible that someone might someday uncover a vulnerability in a popular browser allowing them to spoof the Origin and Referer headers. Having a second line of defense means that if our first line of defense becomes suddenly compromised, we already have a backup defense in place while browser vendors work on patching the vulnerability. The easiest to implement of OWASP's recommended supplemental defense measures is Custom Request Headers. Here's how it works. Great! 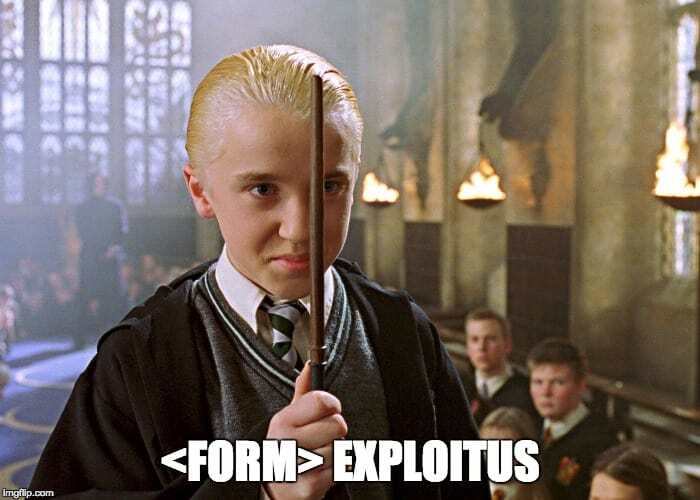 Now we know that if we can be sure that our request came from a XHR rather than something like a <form> or <img>, it must have originated from hogwarts.edu (assuming a valid Cookie header, of course) regardless of what the Origin or Referer headers say. By default, there's no way to tell that a request came from an XHR or not. A POST from a vanilla XHR is indistinguishable from a POST from a <form>. However, XHR supports a feature that <form> doesn't: configuring custom headers. By having our our XHR set a "Content-Type: application/json" header (which is a semantically sensible header for us to send regardless, since we are sending JSON now), we will have created a HTTP request that a <form> could not have created. If our server then checks for a "Content-Type: application/json" header, that will be enough to ensure the request came from an XHR. If it came from an XHR, then it must have respected the Same-origin Policy, and therefore must have come from a hogwarts.edu page! This method is a better Second Line of Defense than a First Line of Defense, because it can be circumvented via Flash. So we definitely shouldn't skip the Origin / Referer Same Origin check! We should use this only as an added layer of defense against a theoretical future vulnerability in Origin / Referer. If the Origin and/or Referer headers are present, verify that they match hogwarts.edu. If neither is present, assume the request is malicious and reject it. Check for a header called "Content-Type" and make sure it is set to application/json. This covers our current use case, but there are other things to keep in mind for potential future needs. If someday we want to use an actual <form> ourselves (instead of an XHR), and we still want a second line of defense on top of the Same Origin check, we can use a synchronizer token. If we still want to use an XHR but don't want to set a custom header (like Content-Type), or use a synchronizer token, we can use a double submit cookie or an encrypted token instead. If we want to support CORS, well...then we need to totally rethink our authentication approach! Introduced an authentication system to prevent attackers from impersonating users. Used cookies to do this in a way that does not require two HTTP roundtrips (with a loading spinner in between) to view pages with private information, like a page listing a user's private messages. 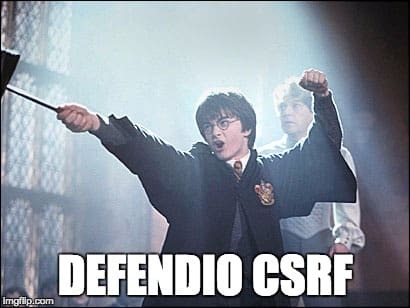 Defended against <form> POST CSRF attacks by checking that the Origin and/or Referer headers match hogwarts.edu (and rejecting the request if neither header is present). Added a second line of defense against future potential Origin and/or Referer vulnerabilities by requiring that the Content-Type header be set to application/json. With all of these put together, we now have some solid defenses against the dark art of CSRF attacks! If you found this useful, check out the book I'm writing for Manning Publications. I've put a ton of time and love into writing it! I have this in my favorites and I check it every now and then. I have been to hogwarts.edu/. Apparently the maintainer has already been severely hacked since the hackers suceeded in taking control of the domain name and unregistering it. So I'm not sure if I should listen to the maintainer because his own security seems lacking. This was great, thanks for writing. Reminds of the Hogwarts IT guy tumblr. Reading it was VERY interesting. Thanks for sharing this article with us, Richard! Great story-telling on this technical (and often overlooked) problem! Thanks.